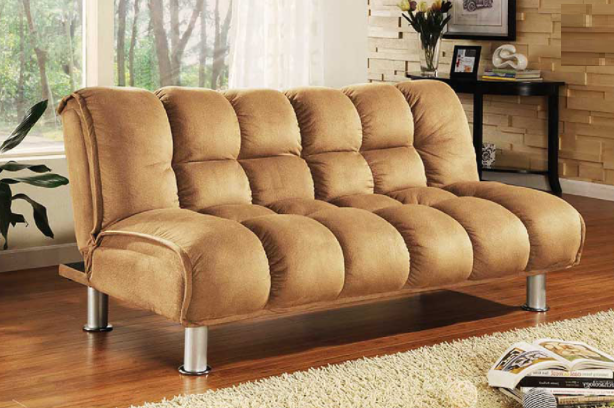 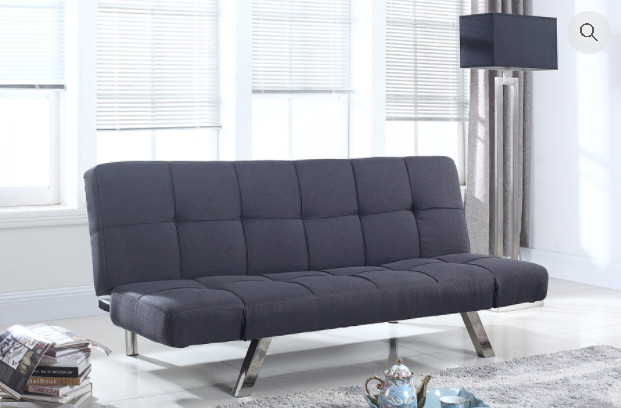 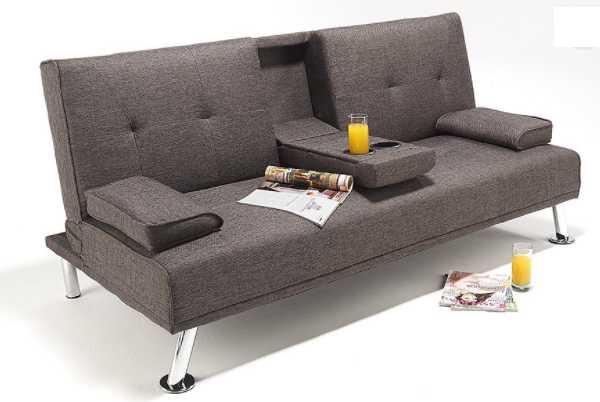 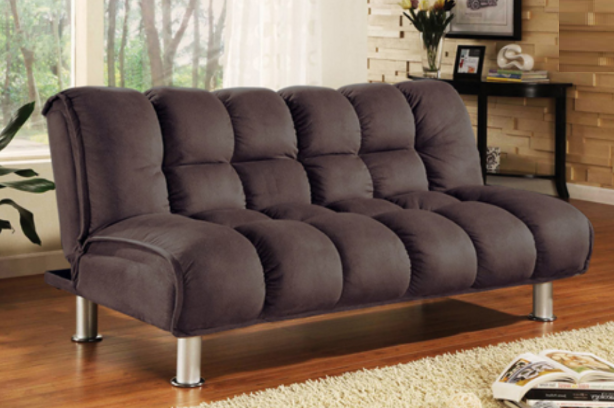 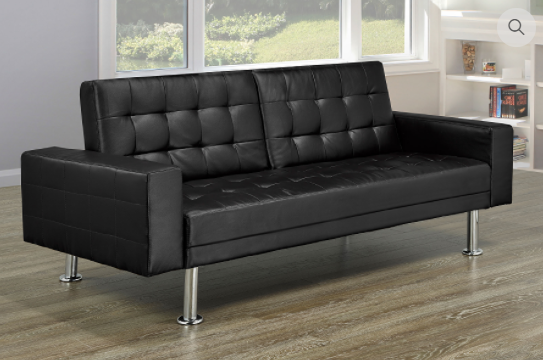 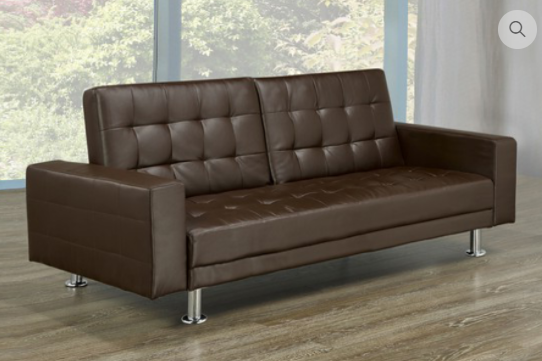 Enjoy contemporary style with this sofa bed in your living room. 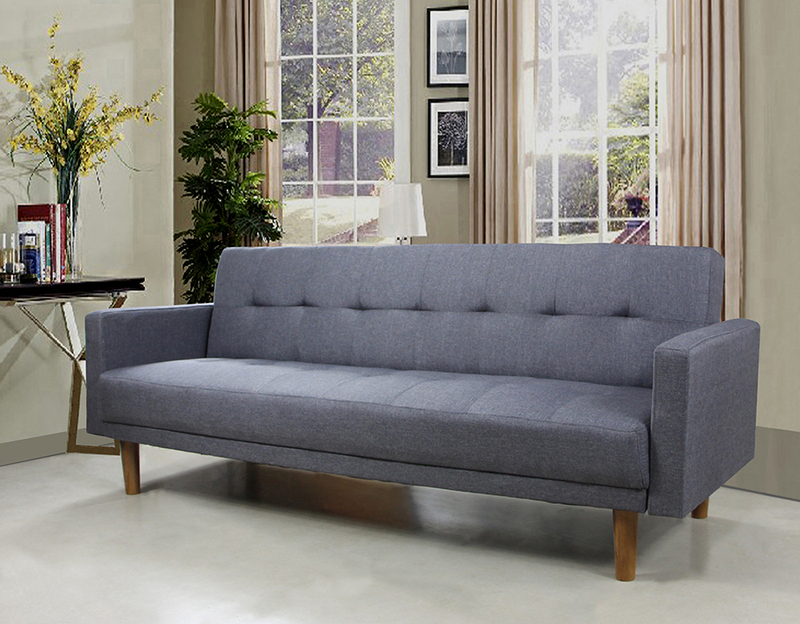 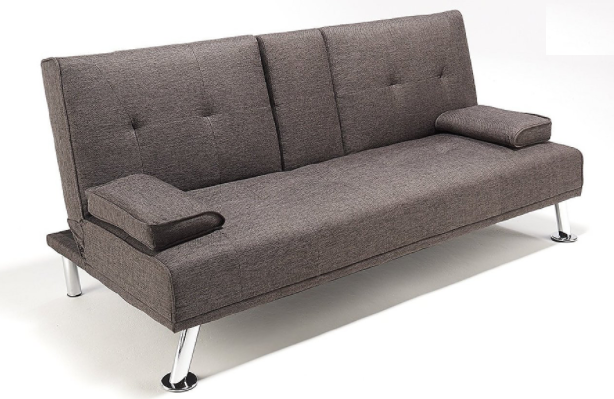 Covered in a grey linen-style fabric, its padded track arms and button tufted seating add to the casual styling. 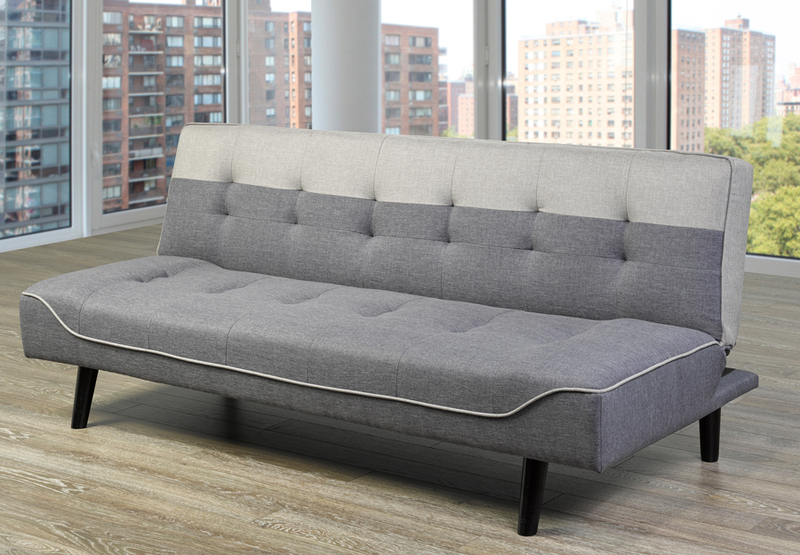 For versatility in accommodating overnight guests in your home, the sofa bed folds down to create a comfortable sleeping surface.